I have worked in the healthcare field most of my adult life. I started out taking care of my father through his sickness then continued on doing private home care for the elderly in their own homes. Helping them with their every day needs and companionship. I eventually starting working in an assisted living facility where i had the opportunity to gain many certs such as cna, pss, first aid and cpr and much more. I worked there for 10 years then moved on and enrolled in a medical assistant class for two years where i obtained my certification. 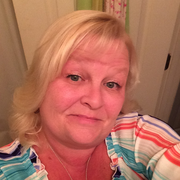 Circumstances arose which led me to move to panama city beach where i have been working in home health for 3 years. I have my pss, crma and medical assisting cerifications.